Give yourJeep more HP, MPG and a new aggressive tone with Off-Road Clearnace with aFe's MachForce XP RB Jeep catback forward-muffler exhaust!!! 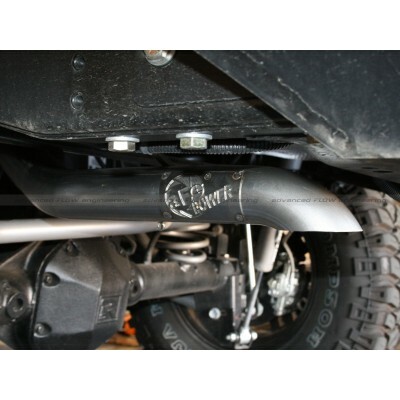 AFE has developed a brand new exhaust system for the Jeep JK Wrangler called the aFe Mach Force XP Catback. It is guaranteed to out perform any system on the market today. Normal stock exhaust systems are far too restrictive, and do not allow the engine to perform to its full ability or efficiency. 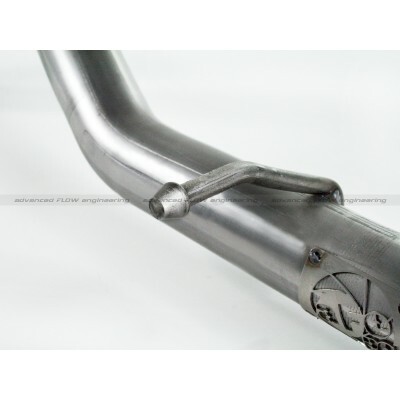 With its pinched bends and narrow, thin tubing, it is no surprise why so many people opted to get something with a little more bite. 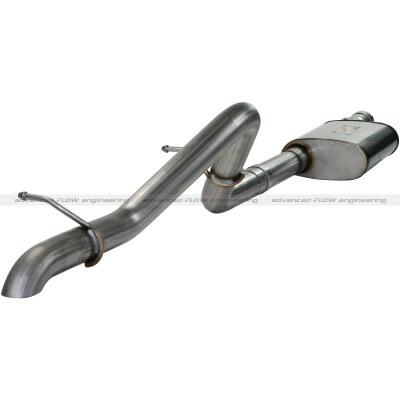 The Mach Force Catback Exhaust System is designed with 409 stainless steel and mandrel bent tubing to create the best exhaust flow possible, and it shows with an increase in horsepower and torque. 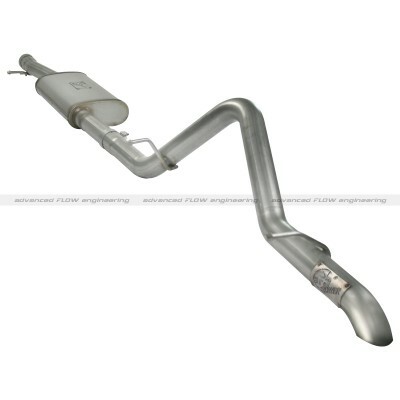 AFE has developed this system from the ground up including the all new muffler. They have created a new design to create the perfect amount of back pressure and flowing capabilities to allow your Jeep to breath easier then it ever has before. This combination gives your Jeep a one of a kind sound that will set your Jeep apart from all the rest. 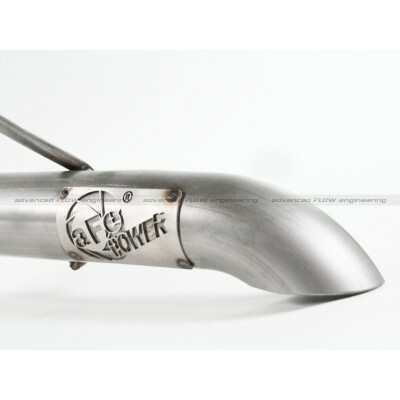 AFE has designed this exhaust system with monstrous 2.5" exhaust tubing and mandrel bends to make sure that your Jeep has enough room to stretch its legs, and will give you significantly more exhaust volume then stock.